AustCham Thailand would like to thank Carly Cummings, Chief Information Officer at Linfox International Group, for her time and efforts as an AustCham Director over the past year. Carly joined the Board in October 2016, and immediately had an impact with the Alumni and Australia Ball sub-committees, and later helped establish the Digital, IT & Innovation sub-committee. Her energy and fresh outlook were welcomed by the Board, as was her eagerness to assist across multiple facets of the Chamber. 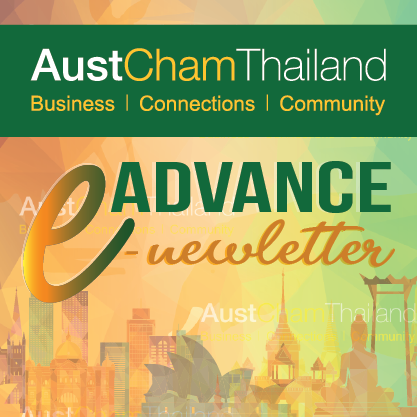 While her time was short, her contribution was significant and a testimony to both her and Linfox’s long-term commitment to supporting the Australian-Thai Chamber of Commerce. Due to her relocation back to the Linfox office in Melbourne, Carly has resigned from her position as Director on the AustCham Board, and we wish her all the best on her future endeavours. Next [November 2017] ‘Care for Cancer – 2017 Fun Run’ at Lumpini Park.